The Human being and the Athlete come first while encouraging Personal life skills. Creating Players and having each individual Yearning to be better, as a player and as a person. Peak Tennis International is collaborating with LAS Summer in Switzerland. The first session starts on June 30, 2019. Click the link below for more information. PTI offers cardio classes every Monday and Wednesday evening 20h-21h and Friday mornings from 9h-10h. Click below to find out more and come along and try your first class for FREE! interested in joining a class? PTI offers group lessons for kids starting at age 3. Every child is unique and their development depends on their individual progress. Sign your child up today using the link below. Do you want to get involved with Peak Tennis International? Please contact us using the button below. Ready to join the PTI family? Please select at least one option below. Thank you for your interest. We will get back to you within 48 hours. 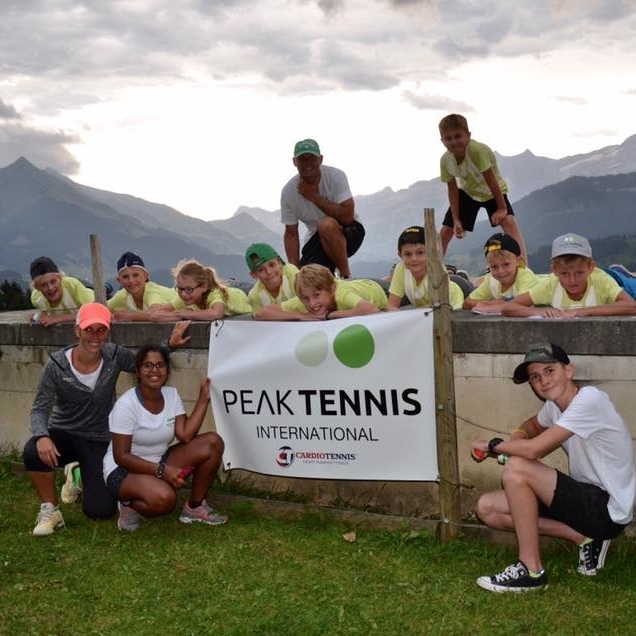 Peak Tennis International feels very privileged to work with both International Schools here in Leysin; Leysin American School and Kumon Leysin Academy of Switzerland. In collaboration with both schools, PTI helps to organise several tournaments each year where schools from all over the country come to compete in Leysin.